at the 34th Annual Congress of Primate Society of Japan on 14th July 2018. 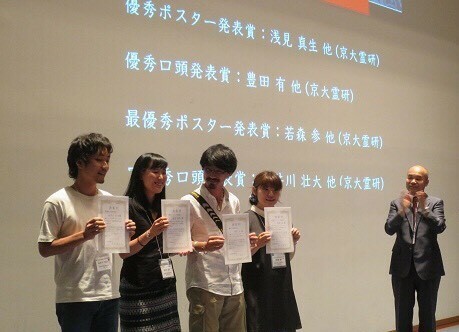 Four graduate students/researcher of PRI were awarded at the 34th Annual Congress of Primate Society of Japan on 14th July 2018. Mating strategy and reproductive success of male Stump-tailed macaques in Khao Krapuk Khao Taomor Non-Hunting Area, Thailand. 3D shape analysis of lower third molars of extant macaques and species identification of fossil isolated teeth.